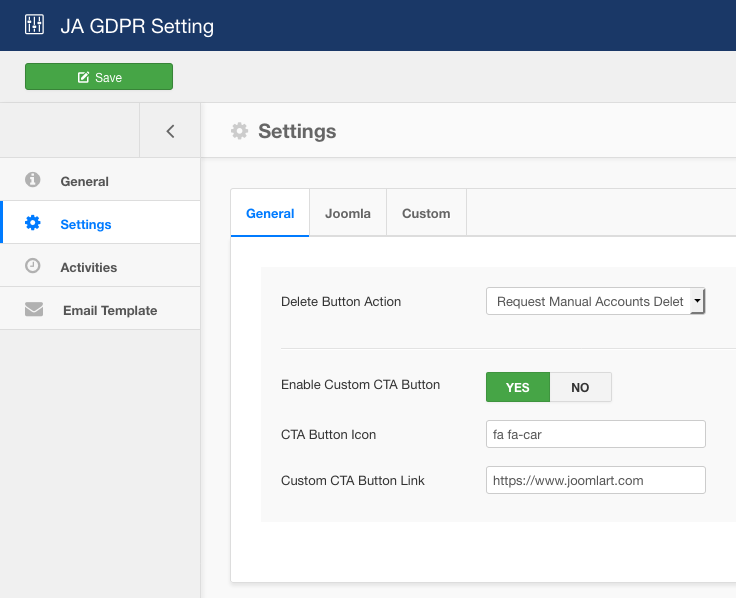 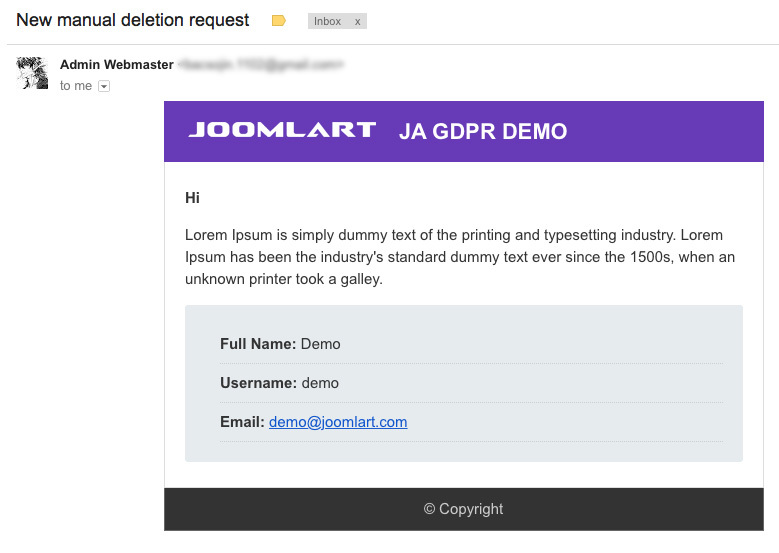 Today we would like to announce Beta release of JA Joomla GDPR extension with new features, improvement and bug fixes. 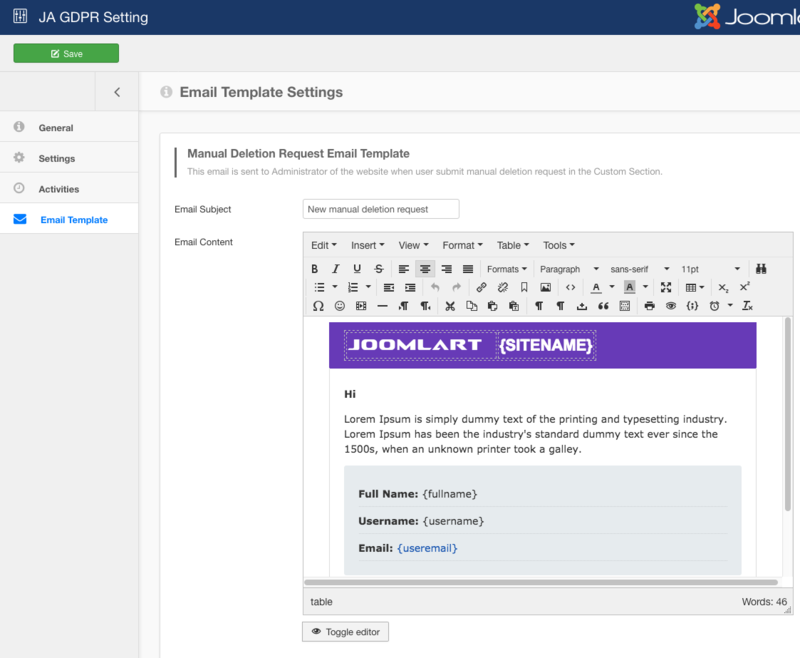 The new feature allows admin to update email template sent to admin when a user send manual deletion request in the Custom Section, the settings include email subject and email content. 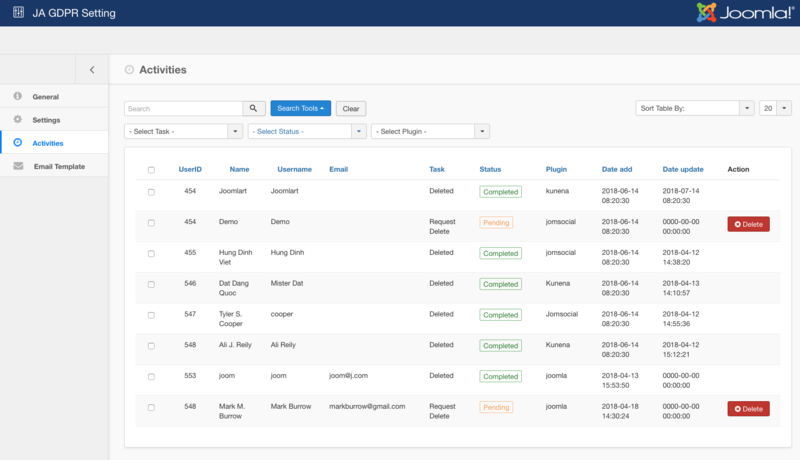 The search and filter in the Activities tab is to help administrator to find users easier. 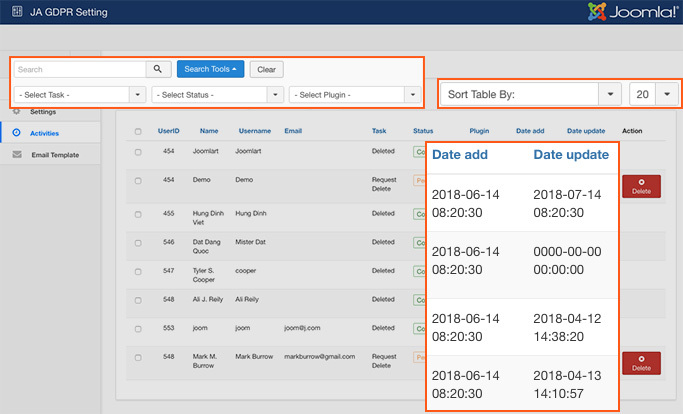 Admin can search by name, username or filter by task: request or request delete, status: pending or complete and plugin.